I think Kansai ben look better in HD than I do.. 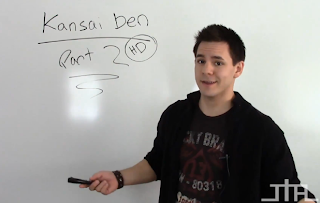 This week we have a sample from my video newsletter, Kansai ben (or dialect) part 2. To see Kansai ben part 1 or get lots more like it every week sign up for my Japanese Video Newsletter. Hey this is Ken Cannon, welcome to Kansai ben, part 2 ! HD version! I’m really hoping this whole HD thing raises my cool level, cause well you know messing around all day on the internet doesn’t help, unless of course Facebook friends actually start to equal real friends, then, then yeah then I’m gold. Kansai ben also has different connotations. Or stereotypes if you would. Like most accents or location have associated with them. Right, Texas, cowboys and… horses, if you live in Texas, you’re either a cowboy or a horse. Kansai people are sometimes said to be the Americans of japan. Since you might have heard, most Japanese people are pretty reserved, polite and not very talkative to strangers. Kansai peeps are said to be a lot friendlier to strangers, a lil bit louder, and a lil less reserved and distant they open up a lil more…. Kind of like Americas, we open up a lil too much though, we got like all our goods hanging out, but you get the idea. And two other things kansai dialect is known for, is its comedians and yakuza, kind of a weird combination there.… a lot of standup comedians are kansai, and for some reason a lot of yakuza folks (yakuza means Japanese mafia) speak with a kansai accent. So if you speak in Kansai ben you’re either funny, or very scary. Oh no it’s my period…. Now in terms of anime, there’s usually always 1 character in ever series, that is the stereotypical kansai character. Now as for the specific vocabulary and accent of kansai ben, I’ll save that for another video. But for the most part, with this video I wanted quell some worries people might have that Japanese is super complicated with all these dialects. Because if you understand regular Japanese, kansai ben is really not a whole lot different. And you’ll be able to understand what they are saying no problem. If anything it just adds more character and personalization to the language. Which is something I’ve always loved. 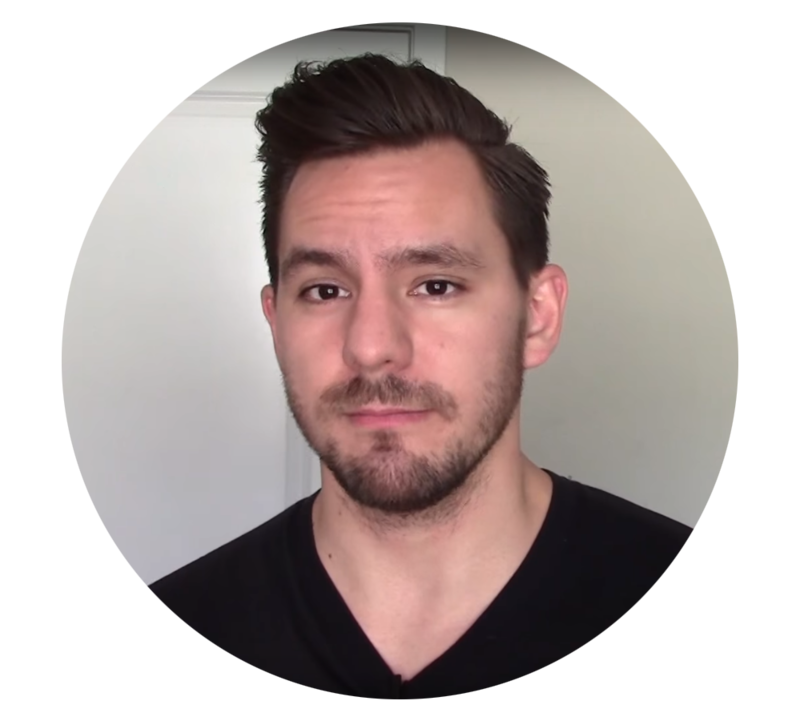 “What it’s really like in Japan” Video series… so if you haven’t heard I’ll be in Osaka Japan for a month, next week. And I’m planning to shoot a video series/vlog about what it’s really like to be in Japan. So you’re gonna get to see lots of raw, uncut, live footage with just me and you, in Japan about how to get to Japan, How to stay/live there, go to restaurants, shop, and just to give a peek of what it’s really like to live and be in Japan. And give you that amazing experience of achieving the dream of going to Japan without all the cost. It’s going to be really awesome. And hopefully you’ll learn tons of tricks to not alone surviving, but having the time of your life in Japan. And doing as cost efficiently as possible, because of course I’m gonna teach you all the tricks I know on how to save hundreds and hundreds of dollars. Anyway, hope you enjoyed this week’s video, Kansai ben part 2 in HD, see ya later!